Note: This post was updated 10/3/2018 to describe how to access our Installation Quote Request form following the redesign of our website. We’re making selective improvements to the Colonial Systems website on our way toward a complete refreshment. The best one so far, based on usage, is the addition of a form that handles installation quote requests. We did a soft launch of the form a few months back. The form caught the attention of site visitors within the first few days and we’ve seen it get regular use since then. 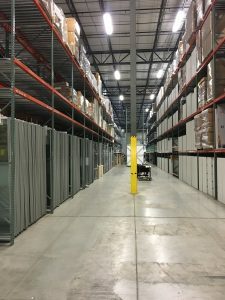 Our online quote request form is available for anyone needing installation services for commercial furniture, architectural walls or millwork. 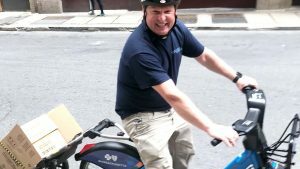 The form is proving to be widely useful and appears to be especially popular with early-morning and late-night requesters and dealers outside our home market of Greater Boston. If you’re comfortable initiating Colonial Systems quotes by email, fax or phone, that’s just fine. We have no intention of trying to change what works well for our clients. 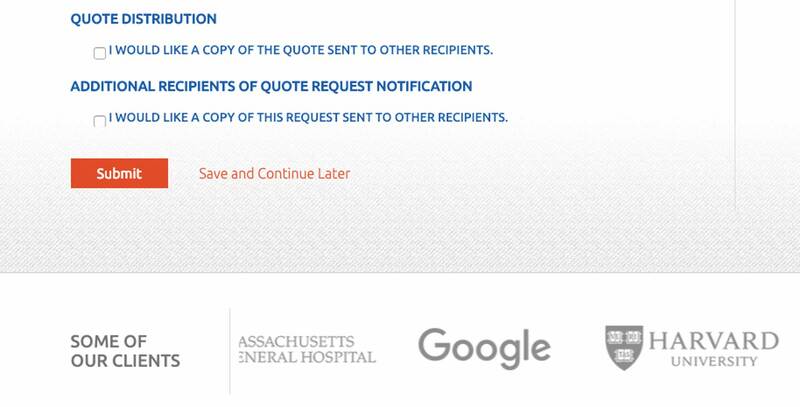 Still, it’s good to know that our online quote request form is always available to capture your comments and information about upcoming jobs, even when we are not. 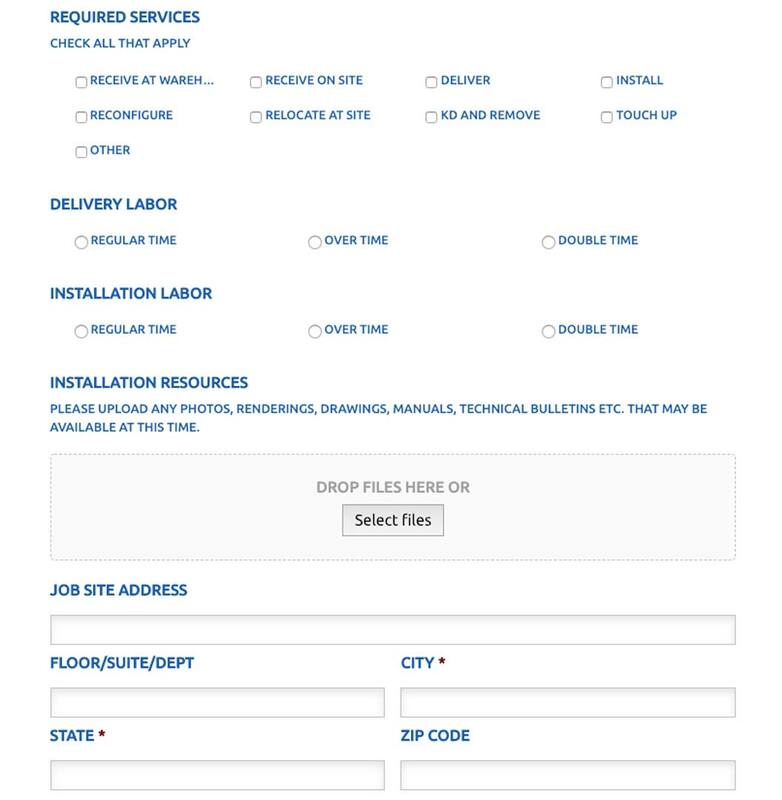 To use our online Installation Quote Request form, click the red “Quotes” button in the menu bar at the top of any web page. 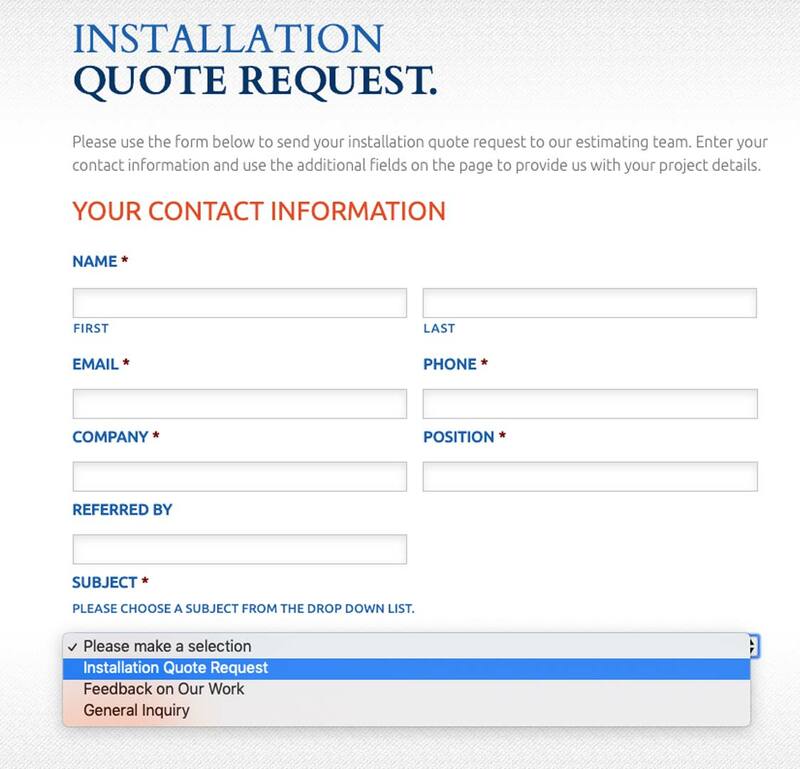 Be sure to set the Subject selector for “Installation Quote Request.” Change your selection if you want to provide feedback on our work or submit a general inquiry.